With Dr. Glen Nelson’s death this month, Minnesota lost a giant who led the building of our health care system for the past 40 years, making health care more effective, accessible, and efficient for everyone. After graduating from the University of Minnesota Medical School, he began his career as a surgeon at Park Nicollet Medical Center. Nelson built Park Nicollet into a progressive multi-specialty practice as its president and CEO. 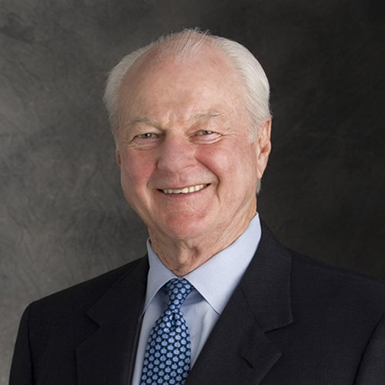 During the early 1980s, he helped create the health maintenance organization American MedCenters, becoming its chairman and CEO. He was part of the Jackson Hole Group, a leading proponent of managed competition in health care that influenced President Bill Clinton’s health care plan and President Obama’s Affordable Care Act. Joining Medtronic in 1986, he teamed with CEO Win Wallin and myself to transform Medtronic from a pacemaker pioneer into the world’s leading medical technology ­company. From 1986 to his retirement in 2002, Nelson led Medtronic’s introduction of 12 major advances in medicine. The company achieved breakthroughs that included the pacemaker-cardioverter-defibrillator and treatments for heart failure, incontinence, and Parkinson’s disease. I first got to know Glen in the 1970s, but our deeper relationship began in 1989 when I joined Medtronic. We formed a partnership, with Glen taking the lead on all aspects of medicine and technology, both internally and through acquisitions and mergers. We teamed together on strategy and organization, and in resolving the most difficult issues facing the company, from FDA relationships to thorny quality and people issues. He served on the Medtronic board for 20 years, guiding it to aspire to greater heights for the company. In no small measure, he played a leading role in the company’s growth from $400 million in revenue to its current size of $29 billion in revenue and market capitalization of $112 billion, making it one of the nation’s most valuable companies. Glen’s impact as a human being far exceeded his tangible accomplishments. To me, he was a friend, colleague, and mentor. When I was elected CEO of Medtronic in early 1991, I asked Glen to be my partner, not a subordinate, and to consult with me on all decisions, large and small. He was the smartest and wisest person I have ever known. When I arrived at Medtronic, I had 25 years of high-tech experience but knew nothing about medicine. I relied on Glen to teach me the medical business and to explain how our products worked inside the human body. We worked together on a wide array of acquisitions, as we endeavored to broaden Medtronic’s technology to treat diseases as diverse as cerebral palsy, sleep apnea, diabetes and spinal surgery. In 1998, Medtronic faced a growth crisis; expansion in our core business had slowed to less than 7 percent, well below our historic 18 percent growth rate. Several key executives recommended retrenching to cardiac rhythm management, which would have spelled Medtronic’s death knell as an independent company. Instead, I asked Glen to ramp up our acquisition efforts. Within months, we made six major acquisitions totaling $13 billion and transformed Medtronic from a cardiac rhythm company into the world leader in medical technology. Had it not been for Glen’s perceptive judgment and his skill at working with entrepreneurs, this never would have been possible. After retiring from Medtronic, Glen devoted himself to helping young entrepreneurs translate their ideas into successful companies. At his peak, he served on 13 boards, as he became the “go to” person for aspiring innovators. He could never say no and always took time to help anyone who asked. No wonder so many people loved and admired him. Glen Nelson was a visionary, entrepreneur and pioneer. More than anyone else, he understood the intersection of medicine and technology and what advances would work inside the human body. Far beyond that, he was a compassionate leader who strove to help people both inside and outside Medtronic. His loss will be widely felt locally and nationally, as he leaves an unparalleled legacy for others to emulate in helping people create medical breakthroughs. This article was originally posted to Startribune.com on 5/22/2016. Article originally posted on Inquirer.net on 5/15/16. In health care, there are no shortcuts and no quick paths to market. Health care companies face challenging times as they adapt to the Affordable Care Act (ACA) while still delivering for customers and shareholders. Most companies have navigated these fast-changing times well. But three bad actors – former Turing CEO Martin Shkreli, former Valeant CEO Michael Pearson, and Theranos’ Elizabeth Holmes – threaten to drag down the legitimate companies. Shkreli incurred the wrath of the general public. Even presidential candidates rebuked him. His actions had broad implications because they threatened the already unsteady alliance between big pharmaceutical companies and the Obama Administration. These pharmaceutical companies had agreed to pay $70 billion to support ACA in exchange for a legal restriction on the U.S. government in negotiating drug prices. Valeant’s Pearson also raised prices 500-800% on older drugs, but his flawed approach went much further. He claimed his company did not need to do research on new drugs because it could simply buy older drugs and take over companies like Salix and Bausch & Lomb. His business model called for limiting drug development expenses to 3% of revenues and paying only 3% in taxes through a series of clever tax schemes. Big investors like Sequoia, Pershing Square, and Value Act talked up the stock as Valeant’s market capitalization rose to $91 billion. And several other mid-sized pharmaceutical companies copied Valeant’s approach. Those with a long-term view called out Valeant’s short-term game. Presidential candidate Hillary Clinton ran ads attacking the company. Warren Buffett told CNBC, “You wouldn’t want your son to grow up like Mike Pearson.” Buffett’s partner, Charlie Munger, called Valeant a “sewer.” The game ran out when a short-seller exposed Valeant’s distribution through specialty pharmacies that forced enormous price increases. In the past six months, Valeant investors have lost $81 billion, dragging down the activist funds that propelled the company’s growth. 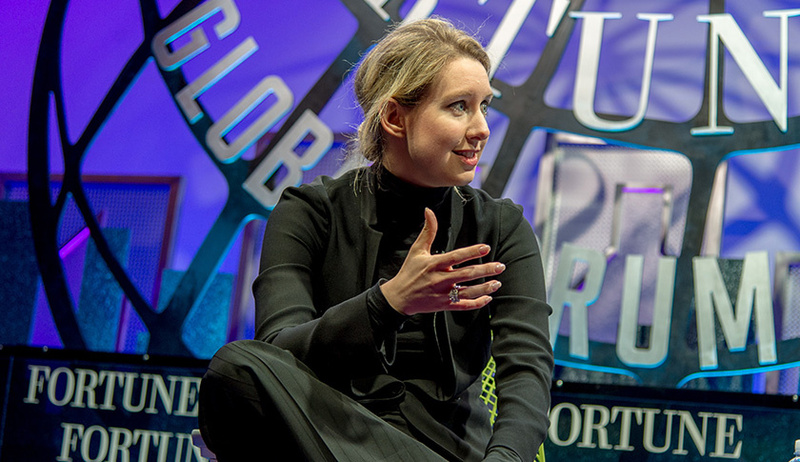 Theranos’ Holmes claimed her company could render obsolete the one billion blood draws done in the U.S. with a simple prick of the finger – an exciting prospect that caused investors to value her private company at $9.1 billion. Her board of directors included several former U.S. senators and former presidential cabinet members, but few with experience in medical technology. With her story and her glamour, Holmes became the darling of the media and Silicon Valley moguls. Theranos went directly to the consumer market by cutting big deals with Walgreens and Safeway, but Holmes never produced any test data to validate the claims, citing confidentiality concerns. The media passively accepted her lack of transparency. Then the Wall Street Journal published an expose calling into question the effectiveness of the company’s testing methods and scrutinizing its resistance to share test results to back up its claims. WSJ published this piece in spite of heavy pressure from Theranos’ legal team, which was led by high-profile lawyer David Boies. Since the WSJ article was published, the company has imploded. Now the U.S. government has launched a criminal investigation to determine whether Holmes intentionally misled her investors. Thus far, Holmes has yet to produce validated test results proving Theranos’ claims. While these three companies and their leaders will be mere footnotes in business history, they cause great harm to legitimate companies trying to help patients. Their missteps confirm the importance of putting patients first, rigorous testing, FDA oversight, transparency, and pricing products to support patient access, regardless of their income bracket. When scandals occur, they have a negative impact on companies that are doing things right. The subsequent public outcry tends to harm the committed, experienced companies, as politicians paint all health care companies with the same brush. This leads to delays in the FDA approval process for the most scientifically minded companies, denying patients products they need. It also creates public pressure for price controls. Theranos, Valeant, and Turing took multiple shortcuts, and they won handsome short-term rewards for their behavior. But others who jumped on board have now lost billions. Neither Shkreli, Pearson, nor Holmes had any health care experience before taking over their companies: Shkreli worked at hedge funds, Pearson was a McKinsey consultant, and Holmes was a 19-year-old freshman at Stanford. Facebook’s Mark Zuckerberg’s motto of “move fast and break things” may be valid for social media, but it doesn’t work for heart surgery, drug development, or medical devices. The first rule of the Hippocratic Oath all doctors take is, “First, do no harm.” Why did Theranos, Valeant, and Turing assume so much risk? They focused on the short-term at the expense of their companies, their patients, and the health care industry. These companies proved what others have known all along: when you’re dealing with human health, shortcuts backfire. Worst of all, these three companies fostered the impression that health care companies try to take advantage of an unsuspecting public. As a result, legitimate medical entrepreneurs now have trouble finding the funding required to do rigorous clinical trials in leading academic medical centers—something that Theranos refused to do. For capitalism to work in the medical field, companies must be able to make the long-term investments required for breakthrough bio-pharmaceuticals and medical therapies. There are no shortcuts and no quick paths to market, but the long-term payoff can be enormous. Investors with a fiduciary responsibility to their clients should carefully evaluate the leaders of companies they are investing in to ascertain their medical expertise and soundness. Entrepreneurs, who are essential to foster medical breakthroughs, need to learn the lessons from these bad actors and avoid taking shortcuts when human lives are at stake. We need to be patient with healthcare timelines, so we can enjoy the tremendous benefits that legitimate companies can offer.